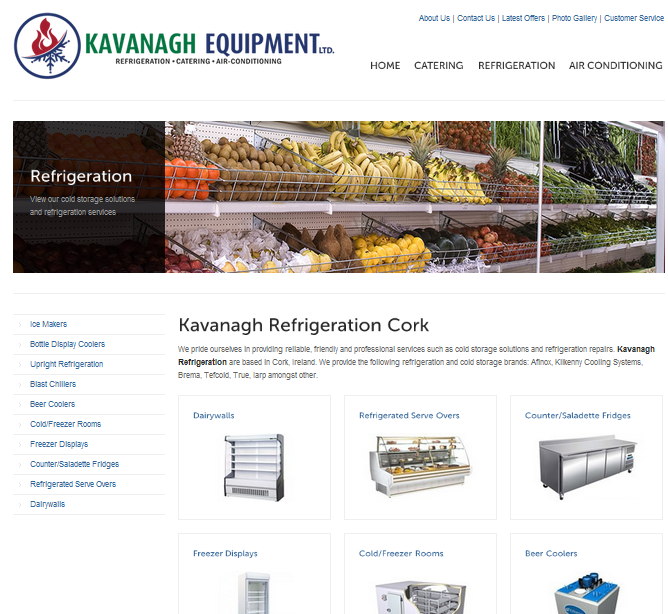 Kavanagh Equipment offers Refrigeration, Air Conditioning and Catering services in Cork, Ireland. 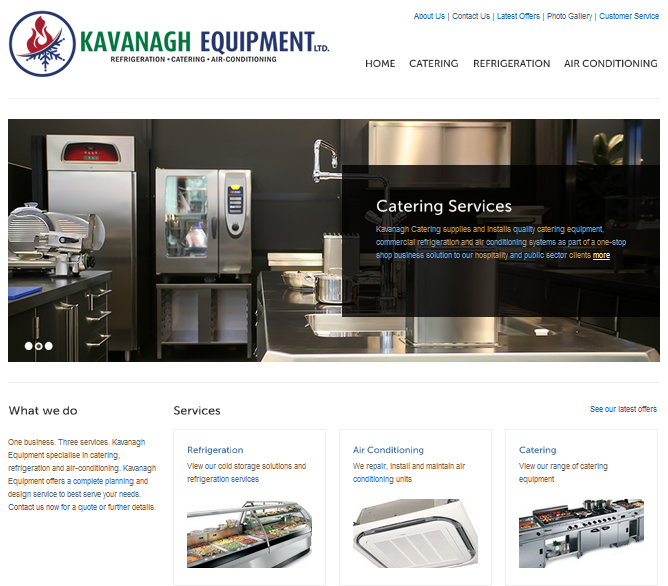 Kavanagh Equipment came to us looking for a website re-design. They have three aspects to their business – Refrigeration, Air-Conditioning and Catering – and wanted to emphasize this on their homepage. They also wanted to display their large range of products.